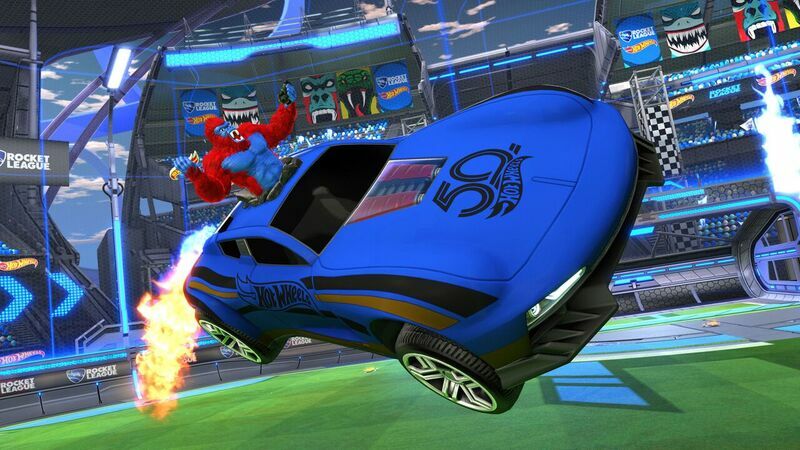 Today, Rocket League developer Psyonix announced a new pack of DLC cars based on Hot Wheels toys is coming later this month, on September 24, 2018. At the same time, a set of actual Hot Wheels toys based on Rocket League cars is also coming to stores sometime in the following October. On the actual, physical toys front, Hot Wheels is dropping a Rocket League 5-Pack in “participating stores” in mid-October. This set includes the Gazella GT, MR11, Fast 4WD, Bone Shaker, and Twin Mill III. These are diecast toys just like normal Hot Wheels, and certain, marked packs will include a DLC code for another in-game item, Hot Hot Wheels. Finally, more on the Hot Wheels Triple Threat DLC Pack will be shown during a Hot Wheels-hosted livestream on the company’s official YouTube channel. In other news, today I learned that Hot Wheels does YouTube livestreams.